Earlier this year, a certain video on Facebook went viral and it showed this unique set of modular bags that can be combined, swapped or separated so that it can transform into a backpack that will suit your needs — may it be for daily use, work, travel, etc. After a bit of research, I discovered that the brand Wool and Oak was the company behind this amazing ‘Voyager Set’. I’ve seen a lot of modern ‘inventions’ for bags and whatnot in the past years, but the way that Wool and Oak designed and compartmentalized this set was just simply superb. So I knew right then and there that I needed to have it and give it a whirl! Besides, going by my travel lifestyle, it’s certainly the kind of ‘carry-on’ system that would fit my very needs of staying organized yet minimal without overpacking. Fortunately, Wool and Oak gave me the chance to give their Voyager Set a try (I was stoked when they did!). As of this moment, the bags have been with me for months now and to cut the story short: it is everything that I expected it to be — and MORE! Wool & Oak [website] is a lifestyle brand that was founded in 2015 by Jonathan Webster in Manhattan. As someone who was trained in fashion design back in Rome – Italy, Jonathan ensures that the combination of aesthetics and function is always present in the premium leather goods that they make for the modern world. TRIVIA: The company’s big break happened in 2016 when they debuted with the World’s First Duffle Suitcase on Kickstarter. With over thousands of backers worldwide, it helped validate the fact that Wool and Oak created a product that was a perfect fit to what travelers wanted and needed. Today, the brand thrives to continue delivering meaningful innovation not only for travelers’ gear but also for any other stagnant product categories. …With that said, you bet that I’m quite excited for what they will come up with next! » Why I love Wool and Oak items? They have a special knack for innovating new styles that are extremely practical. Their talent for ‘design innovation’ is perfectly seen not only from their Duffle Suitcase’s construction, but also from their newest Duffle Backpack’s (Voyager Set’s) storage system. I mean… I would have never thought that the typical duffle bag and backpack can be further improved for an easier and more practical handling — but Wool and Oak did! 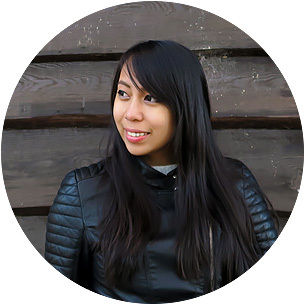 Not only that, but they also made sure that their designs stay sleek and applicable for formal and informal uses. “Style meets function” is a tagline that they typically use and it’s absolutely fitting for their brand! They always keep their users in mind. “What would a daily commuter need to have for their bag?”, “What would a traveler want to rather have on their carry-on?” or “What would an employee wish to have as a briefcase?” Wool and Oak clearly puts attention to these kinds of questions because it shows in the products that they make. 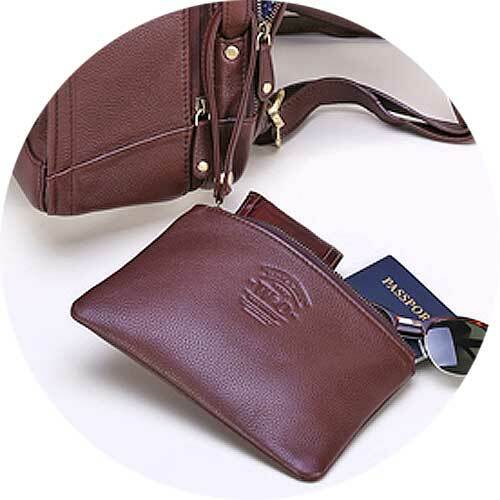 For instance, in the aspect of promoting ease, they incorporated on their Voyager Set the ‘Quick Zip Connection’ feature so that you can expand or minimize your bags quickly — there’s NO more need to pack or switch between multiple bags as you go about your lifestyle. Their products are versatile. 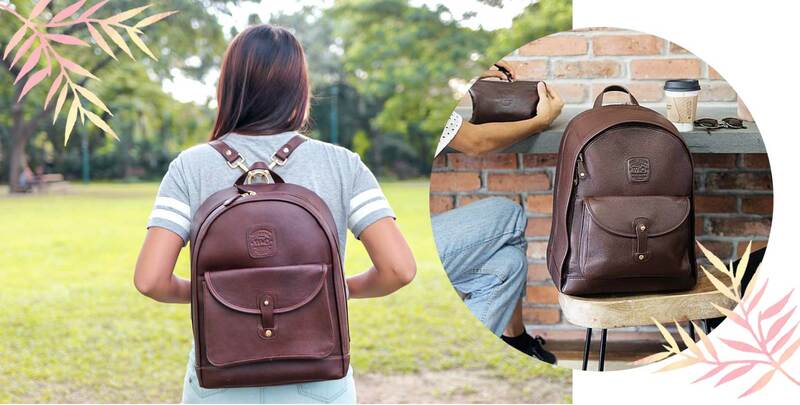 With varying features and designs on their bags, it can easily adapt to any kind of lifestyle that you lead. Simply put: whatever you may be — a traveler, a mom, an artist, an executive, etc. — Wool and Oak has you covered! They use premium materials. Wool and Oak uses only the most premium materials to promote longevity and comfort in their items. In fact, their bags are made of genuine full grain Italian leather. With that in mind, you might think that they might lean on the heavy side; however, I can assure you that their bags are as lightweight as they can be. Rest assured, if you don’t fancy leather, Wool and Oak also makes their bags in canvas. They have great customer service. They value each and every customer so you are always assured of a 5-star service. This is best exemplified on their Kickstarter page wherein you can see how responsive they are to each and every question that people post. To add, they also ship worldwide; that’s why wherever you may be, you can easily own a Wool and Oak bag! 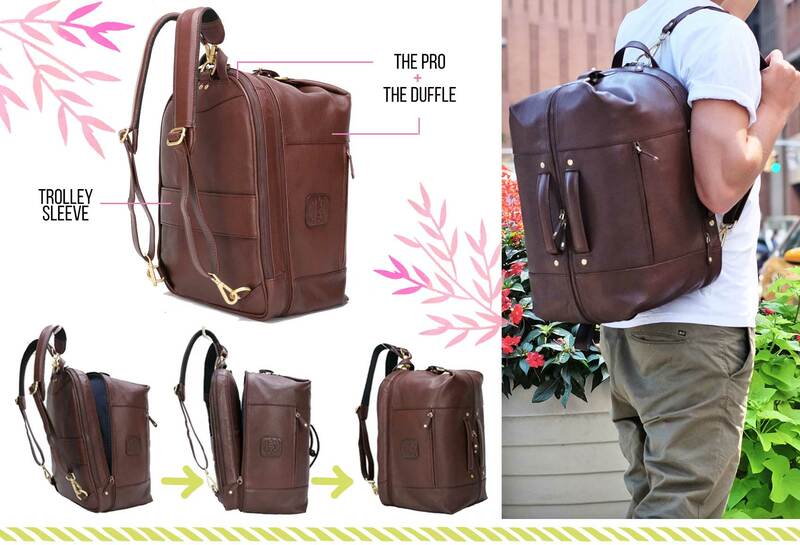 Versatile design: you can wear it as a backpack or handle it like a briefcase with the help of its discreet side strap. Magazine sleeve: keep your newspaper, magazine or documents crease-free! 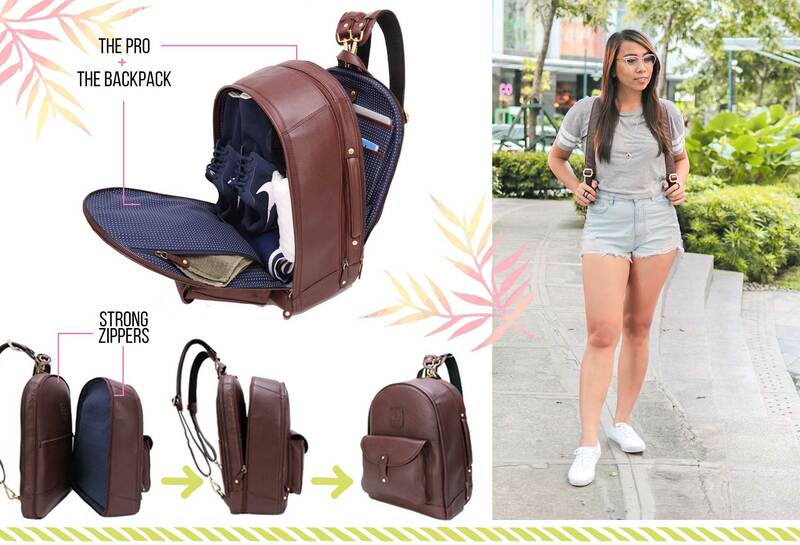 For bigger items that you need to pack with you, the Backpack would perfect! *This cannot be bought separately; it’s rather sold together with the Pro as a combo if you do not want the whole Voyager Set. Check #4 section below for more details. DIMENSIONS: 15.75″ height, 14″ width, and 4″ depth. Weight of leather is 2.5lbs, whereas canvas is 2lbs. *This cannot be bought separately; it’s rather sold together with the Pro as a combo if you do not want the whole Voyager Set. Check #5 section below for more details. DIMENSIONS: 16.75″ height, 13″ width, and 8.5″ depth. Weight of leather is 2.5lbs, whereas canvas is 2lbs. The Voyager Set looked pretty solid to me and the only feature that I was worried about were its ‘Quick Zip’ zippers — “Will it be strong enough to keep the 2 bags together?” Well yes, it did! I was impressed at how sturdy and firm it was. And if you’re thinking that zipping both of the bags is difficult, it ISN’T — because the manner of zipping it is the same as how you’d open and close a zippered jacket. I love this as a carry-on! For example, I can easily seperate the Duffle and keep the Pro with me in my flight seat so that all of my essentials are within reach. Easy peasy! * This comes for free with the Voyager Set, otherwise, it can be purchased separately. 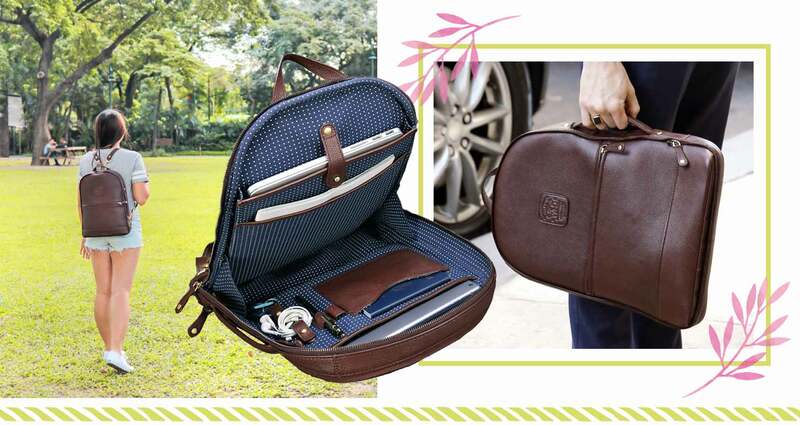 This multi-functional pouch is perfect for personal organization and quick access to essentials while on the go. Usable as a travel pouch, clutch, toiletry kit, and a cosmetic case among many others — just snap it on your Pro, stow it away or use separately. Wool and Oak’s Voyager Set is a smart and organized way to pack and travel! After all, with its interchangeable bag system, it gives maximum flexibility and versatility for any kind of use possible. It’s even built to last too, and that’s not only due to the materials used but also due to its classic timeless design. With all that said and done, the way I see it, this is like the ultimate backpack set possible! Don’t you agree? What do you think of Wool and Oak? Would you like to own these bags? Why or why not? Or do you already own a Wool & Oak bag? How is it? Oh! I like it! I like it all. I'm thinking, oh, I need The Pro.. then one after the other. I need that, and that. Haha. We travel a lot so I needed one that can fit my laptop, weekend clothes and DSLR camera. Thanks for sharing.